The RAPID column system is based on experience in construction, practical insight by the SCS team and experimental work done at the University of Nevada Reno (UNR) for seismic resilience of bridges. UNR has been very active for many years in testing various materials and arrangements of column-beam interfaces in order to improve seismic bridge column performance. Of particular interest to the principals of SCS was the extensive testing of a replaceable structural component to provide seismic ductility. 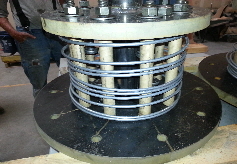 This component came to be known as the Seismic Ductility Device or SDD. The SDD design is based on extensive testing of Engineered Cementitious Composite (ECC) concrete and Shape Memory Alloy (SMA) materials at UNR. These materials as developed into the SDD provide ductility at plastic hinge locations in the column. The UNR version separates the key components of force (compression, shear and moment) into different parts of the SDD to provide the most reliable and predictable ductile response. The materials that make the SDD possible are SMA rods and an ECC core. These materials have been tested in scaled concrete bridge columns under simulated seismic loads and found to provide reasonable energy absorption and excellent damage tolerance in a concrete column . The SMA rods are fabricated to have “super-elastic” properties that allow the rod to stretch significantly (6% strain) but with minimal permanent set. 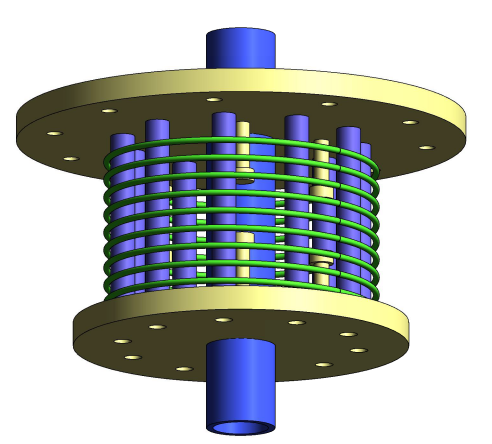 The ECC used in the core has internal tension capacity that acts in compression as if the material has additional confinement. The UNR testing program demonstrated excellent performance when subjected to seismic loads in the lab. 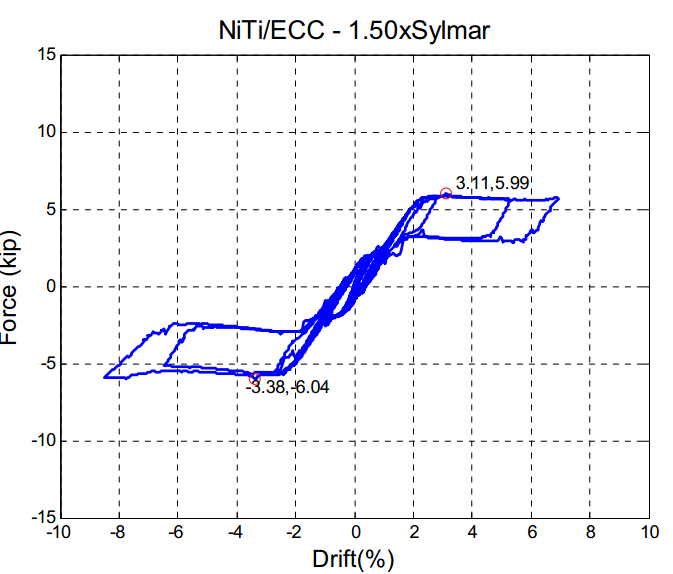 The force-drift chart below is from testing output for a test specimen for a dynamic test using 150% of measured earthquake acceleration. The SDD performed well with little cracking in the core and one or two broken SMA rods at extreme dynamic levels. The rods were replaced, the cracks repaired and performance of the SDD was restored as demonstrated in additional testing. The UNR SDD is an exciting system that addressed modularity and provided excellent seismic performance. The UNR SDD demonstrated the concepts of force segregation and the materials’ dynamic performance. Subsequent improvements have been developed by SCS to provide straightforward constructibility and easy inspection and repair .The key advantage offered by the SCS Rapid Column SDD is the placement of the SMA rods outside the column and core. In this configurations, they can be readily inspected, maintained and replaced if if necessary all while the bridge remains in service..